White shirts??? Are we the road team?? 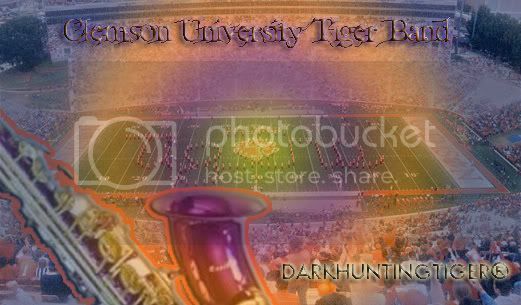 just take care of business and we'll be in the play-off ___GO TIGERS !!!! Danny called them britches=I call them britches. Re: Danny called them britches=I call them britches. we have done well in all white this year and last year. pants. Dabo says the orange pants are for championship games and this is the ACC Championship game. I full expect Clemson to come out on a mission. face with tobacco juice from Danny Ford's chaw of Red Man. Aww look at the chicken fan. It's because the ACC Championship rotates the home team each year between the two divisions. Last year it was the Atlantic division champ that was the home team. (Clemson). This year it is the Coastal division champ that is considered the home team. (Va Tech). It has nothing to do with ranking or number of wins. Next year, Clemson will be able to wear their orange jerseys again back to the Championship game. It's pronounced "L Heff A" and it means "The Boss". The birds and the creatures that move along the ground, for I regret that I have made them. maybe they wore those dorky white helmets to compromise for being 'allowed' to wear their baby blue, girly girl jerseys? Dabo ain't pounding a white helmet on his team's heads. 1. Players of opposing teams shall wear jerseys of contrasting colors. clash with maroon or another VT uni? they are wearing since it makes no difference whatsoever. The Coastal Division has been dominated by VT and GT. Duke (2013) and UNC (2015) have one one title each. GT wears white at home, and is the only team in the conference to do so, so whether they are home or road, they wear white and the other team wears their colored uniforms. Except for throwback games, I've only seen GT's colored uniforms once, when they played LSU, who also wears white at home. Duke's royal blue contrasted with FSU's garnet and UNC's periwinkle contrasted with Clemson's orange, so both teams wore their colored uniforms. VT's colors are maroon and orange. They have played BC, FSU, and Clemson: schools whose uniforms blend with one color or the other. So the home team wears their colored uniforms, and the visitor wears white. Be proud of the Orange but don't think this result is expected. This team has all the tools to win against VT if they focus and play their game from the first snap. Don't give VT a reason to think they can win. VT knows they can win... we have to prove them wrong!